(2015/Prestige) 12 Tracks - Deluxe reissue of the original 1959 Bluesville album! From the original analog master tapes! High quality vinyl and high quality cover package, incl. rice paper innersleeve! Limitied and numbered edition of up to 1000 copies! 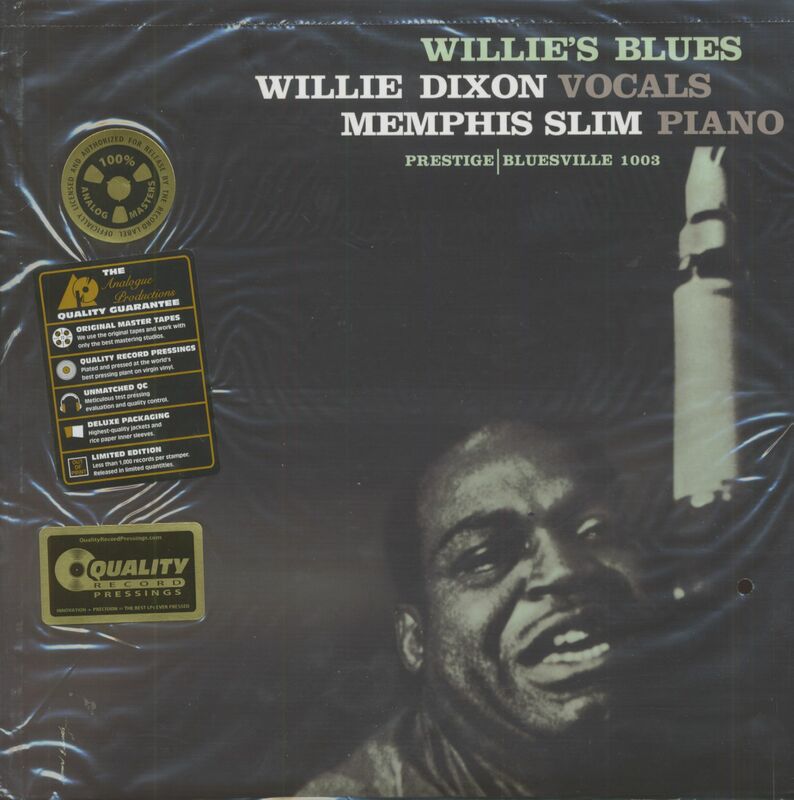 Line-up: Willie Dixon - voc/bass, Memphis Slim - pno, Wally Richardson - gtr, Al Ashby - tenor sax, Gus Johnson - drums! 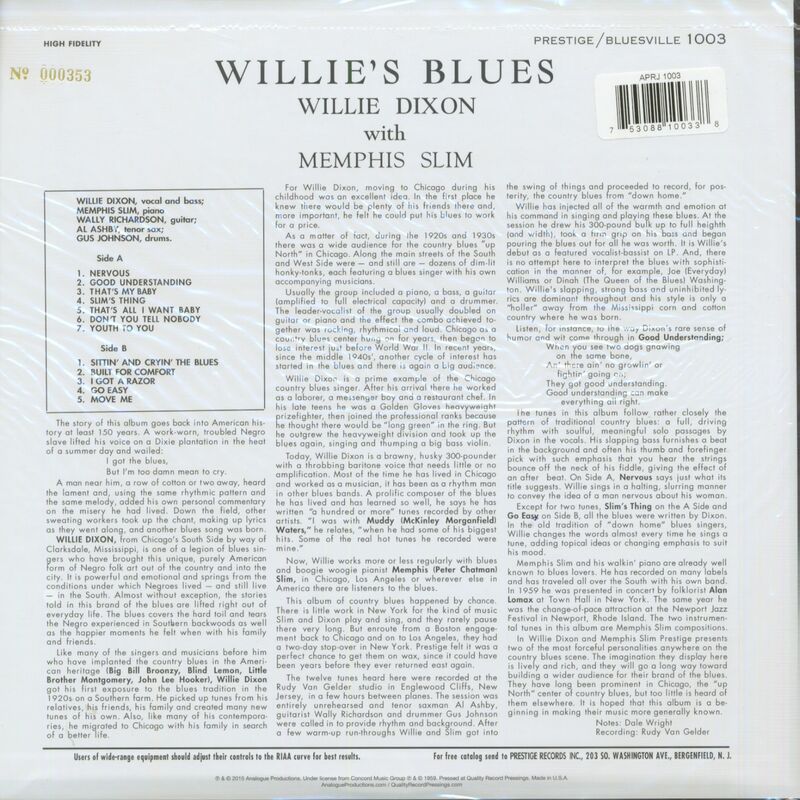 "Willie Dixon & Memphis Slim"
Customer evaluation for "Willie's Blues (LP, Limited, Numbered)"